WHAT IS A KEVLAR® CANOE? WHAT IS THE DIFFERENCE - ALUMINUM, FIBERGLASS OR KEVLAR®? WHAT DOES MIKE CICHANOWSKI PADDLE? WHAT IS BETTER - TANDEM KAYAK OR CANOE? WHAT IS BETTER FOR FISHING - CANOE OR KAYAK? WHAT IS BETTER FOR CAMPING - CANOE OR KAYAK? WHY WOULD YOU WANT A 3 OR 4 PERSON CANOE? WHAT IS BETTER FOR FAMILIES - CANOE OR KAYAK? WHAT'S BETTER - SOLO KAYAK OR CANOE? WHAT IS FASTER - CANOE OR KAYAK? Kevlar is a fabric used in canoes, power boats, and other composite items. Composites are fibers and resins joined together. What are composites? The beauty of composites is you can selectively reinforce a product by putting more layers some place and fewer layers other places, but you can also mold very fine intricate shapes. Some of the other constructions, like aluminum, you are limited to what can be done with that raw material. Basically, an aluminum boat is the same thickness throughout, whereas a Kevlar® canoe, thicknesses in construction can vary from the nose to the bottom to the sides. That is one of the reasons here at Wenonah that we can make very light boats, sub forty pound boats. Here at Wenonah, we have a lot of different ways to build our canoes. Our Kevlar® Ultralight canoe construction is kind of like a ten speed racing bike. There are many bikes around; three speeds, five speeds, ten speeds, bikes you can race distance on. Now, if you had a nice ten speed road bike, you probably wouldn’t use it as a mountain bike. That being said, we also build a “mountain bike” style canoe construction. That would be our T-Formex. The boats are a little shorter, a little tougher and are meant to take a hit. They are more like a mountain bike compared to a ten speed road bike. Most people I know that cycle have one of each. With your nice road bike, you don’t use it on the mountain trails. If you have a really nice mountain bike, you’ll stay off of the roads and use it on the trails. That’s the way we build our canoes in regards to Kevlar® versus T-Formex. When I talk to clients about what boats they should paddle or what their intended use is going to be, the question always comes up, “What do you like,” or, “Which one of your boats is best?” Now if you look at our line, we make many different size boats. I like a longer boat, a boat that has a great deal of efficiency, but not a racer. Our Minnesota II canoe is eighteen and a half feet long and is a great boat, but actually, the three seater, the Minnesota 3, a Minnesota II but a foot and a half longer, twenty feet, probably is my favorite boat. So the question, “What would Mike paddle,” would probably be a Minnesota 3 in almost all conditions. At a lot of demos and canoe events, the question is, "Do I want a tandem kayak or should I get a tandem canoe?" Well, we do offer tandem kayaks, but the problem with them is that they are quite heavy, they are large, you don't have a spot for your pack or you don't have a spot for the extra kid or grandkid or whatever. A tandem kayak can be very hard to deal with versus a nice, lightweight, tandem canoe. So as a tandem, almost always, the canoe is better. you have a person in the back putting you right where you want to be and the person in the front can have access to a full three hundred and sixty degrees around themselves. The boat can be turned very easily as well. Particularly in lakes in Northern Minnesota or the Boundary Waters, canoe fishing is very popular and we think that that style would be the superior way to fish from a small craft. Here at Wenonah, one of the biggest questions we get asked all the time is, “do you go with a canoe or kayak for camping?” Kayak camping works for unprotected, ocean water, but inland here, canoeing is far superior. You can put packs in and get them out easily, you can portage the canoe many places easier, in between lakes and small rivers. It’s very hard to unpack a kayak, lift it up and carry it then repack it with the hatches. A canoe is made for this. Canoe portaging and camping is what Wenonah Canoe is famous for. We make a great deal of ultra-lightweight boats for this. So the answer to the question is, if you are in unprotected water and oceans, a kayak works great. If you are inland near lakes and rivers, the canoe is the superior craft. Think grandkids, families with young kids, longer canoes that you want to have three or four people paddle. We add extra seats to many of our longer boats. One of our most popular boats is the Champlain, which is eighteen feet long and we make a great deal of them with a third seat added. For the Boundary Waters in Northern Minnesota, the rule is you can only have four canoes in a party with nine people, so they have to have some canoes that are multi seated. We do make a great deal of three and four person canoes. The longest one we build right now is twenty three feet long called the Minnesota 4 and that is a very long boat. Most people would go to a Minnesota 3, the twenty footer, or an eighteen footer with three seats in it. 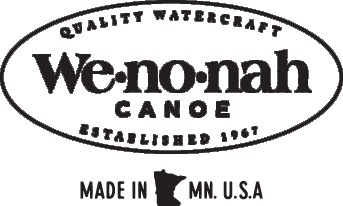 Another question we are asked here at Wenonah a lot is, “What is the best family vehicle - canoe or kayak?” The problem with a kayak is, you have the parents in two long kayaks and the kids in smaller kayaks. It kind of works, but often, it doesn’t. Absolutely the canoe works better for a family vehicle. You can get everyone in the same boat. The kids can have space, they can play or nap. With my grandkids, we take them on quite long trips. If they are not paddling, they are singing or sometimes they’ll lay down and take a nap. The longer canoes work very well for a big family. What’s better - Solo Kayak or Canoe? At Wenonah, the question always comes up, “Do I want a solo craft and what should I go with a solo canoe or solo kayak?” Well kayaks are typically heavier, you always use a double bladed paddle, the cockpits are smaller, your storage capacity is smaller. So if you are going to camp out of it, the solo canoe almost always is better. Also, the solo canoe is much lighter, you can store it and carry it easier. The solo canoe for a lot of people is the prefered solo craft. Canoe vs. Kayak speeds also comes up a lot. You know, it takes a pretty good kayaker to stay with a canoeist. A tandem canoe will almost always outrun a kayaker. Most solo canoes will almost always outrun a kayaker. It’s also the efficiency of the paddler, but a proficient canoeist has the advantage. Saying that, the canoes can sometimes be much sleeker, so it’s a tough question to answer, because it comes down to the paddling ability or the person.